Bioware recently released update 5.8 for SWTOR which brought us Izax, the final boss in the current top operation, Gods From The Machine. 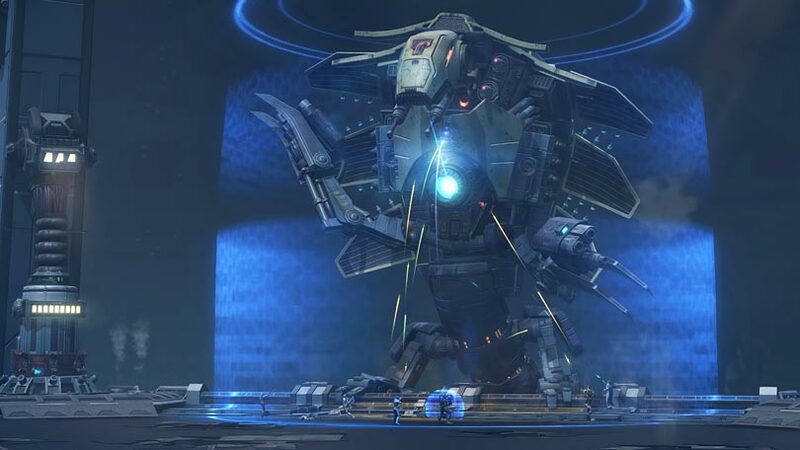 Izax is a killer fight and often lasts over 15 minutes with many phases. Almost the entire guild has been taking the challenge head-on in a couple different ways and we certainly want to say thanks to everyone supporting the ops teams in their hunt. 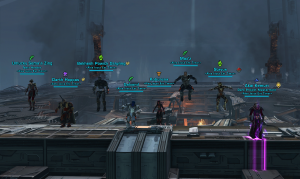 There is no ‘lockout extending’ in SWTOR, so one of the key ways that everyone has been helping is by joining in to use our Tuesday open guild fun nights to clear some of the early bosses in the operation to give the ops teams a head start for the week. 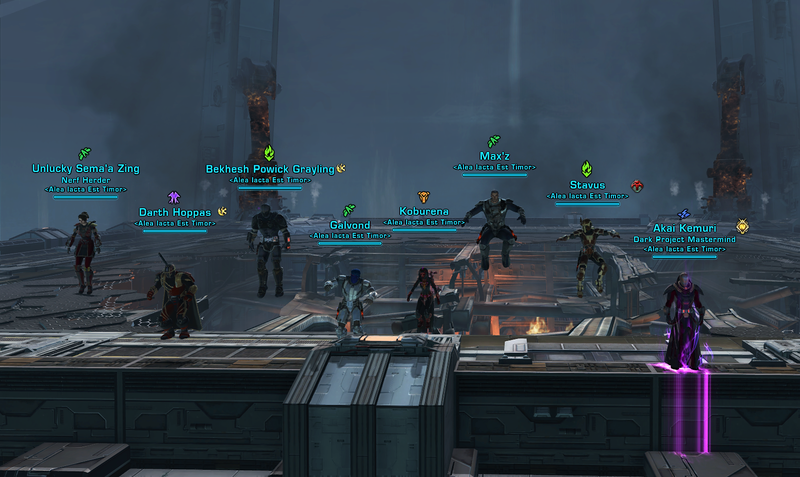 Getting 16 people in on those ‘Mandatory Fun Nights’ and tackling Tyth, the Sisters of Sorrow, Nahut and Scyva has been quite a fun adventure. As a result, a couple of our teams have now killed Izax and we are on track to get him down across the board. We’ll be mounting commemorative statues of the fight in our guild Stronghold and Guildship to show off the success. Again, it’s been a big effort and lots of support even from people not on one of the four ops teams and we really appreciate it. Great example of what AIE is all about! If anyone is interested in getting a look at Izax or just jumping back in to the galaxy and seeing what’s new, we have plenty going on and a great team in-game and in Discord constantly that would be happy to pull you in and get you up to speed. MTFBWY!